As the first company to share safety data of this caliber with the public, Aptiv says it is filling a gap in the AV industry, which has historically limited open-sourcing data for research purposes. 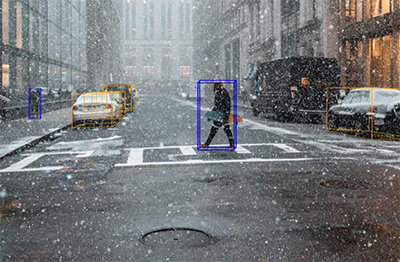 Through sharing its safety data in nuScenes with the public, Aptiv says it wants to broadly support research into computer vision and autonomous driving by AV innovators and academic researchers to further advance the mobility industry. “At Aptiv, we believe that we make progress as an industry by sharing — especially when it comes to safety,” says Karl Iagnemma, president of Aptiv Autonomous Mobility. “Our team thought carefully about the components of our data that we could open to the public in order to enable safer, smarter systems across the entire autonomous vehicle space. NuScenes is organized into 1,000 “scenes,” collected from Boston and Singapore, and is representative of some of the most complex driving scenarios in each urban environment. The nuScenes dataset is composed of 1.4 million images, 390K LiDAR sweeps, and 1.4 million 3-D human annotated bounding boxes, representing the largest multimodal 3-D AV dataset released to date. According to Aptiv, providing public data of this kind not only offers academic researchers and industry experts access to carefully curated safety standards, it enables robust progress and innovation in the industry. To date, more than 1,000 users and 200 academic institutions have registered to access the nuScenes dataset.